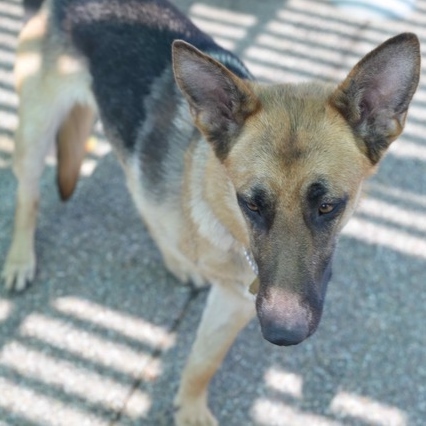 Kiarra was an owner surrender in need of surgery for a shattered elbow when hit by a car. Her leg could not be saved but this beauty has no clue and has healed and adapted very well. 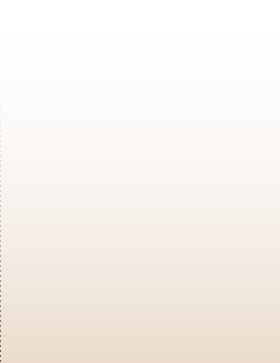 In fact, it has taken a while for some people meeting her to even realize she is a tripaw. 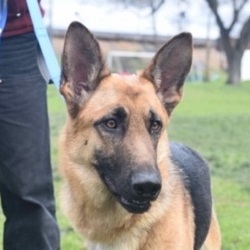 Kiarra is energetic, outgoing, social and quite agile, and she is people and dog friendly. 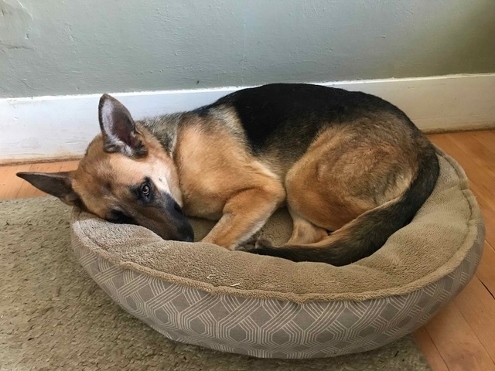 She is living with a female GSD (GSRNC alum) that she enjoys playing with, and we are told her previous household included both male and female GSDs and young children that she also got along well with. Kiarra is crate trained (even goes in on her own) and housebroken (goes "potty" on command and has had no accidents in the house). She knows some basic commands, including sit and down, and will benefit from ongoing training to capture her puppy energy. She is very treat motivated which is a great training tool. 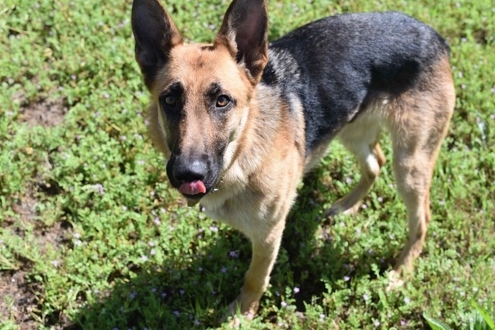 Kiarra is very loving and playful, and likes belly rubs and playing with toys. 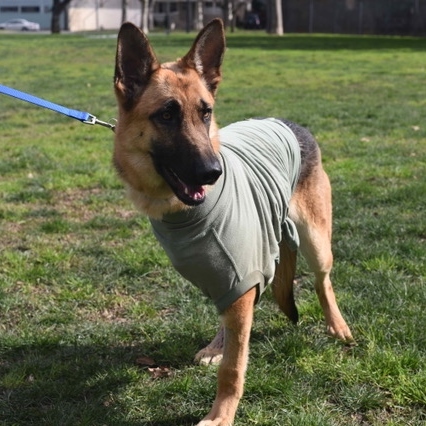 She enjoys visits to the park, and going on walks, and has even started going on 1 to 1.5-mile jogs with her foster dad. She is very athletic. 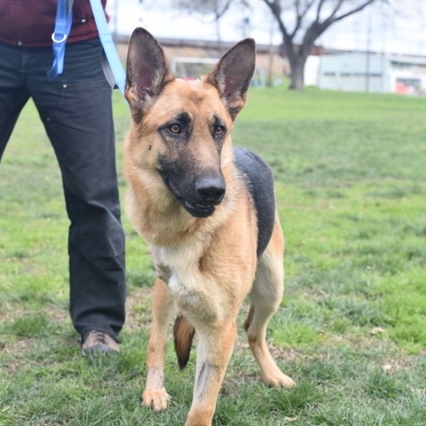 Kiarra is looking forward to settling into a loving forever home, She is a Level 3 being fostered in Sacramento.